If you develop applications that run in the browser then this is for you. Version 1.2 is about to be released. Check out the documentation at http://docs.angularjs.org/. 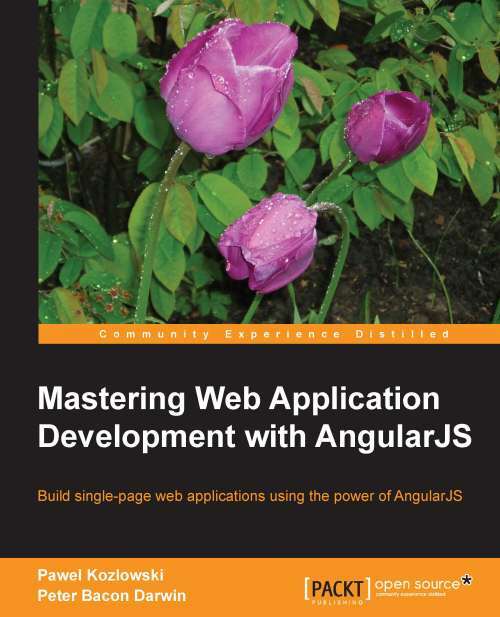 You should also read the book I wrote with Pawel Kozlowski, “Mastering Web Application Development with AngularJS“. We decided to write this book when we realised that although many people coming to AngularJS were, initially, amazed that they could put together single page web applications really quickly, they soon got stuck when they started implementing bigger real-world projects. We noticed that the same issues were being discussed, again and again, on the Mailing List, StackOverflow and IRC, such as: implementing internationalization (I18N), ensuring security, working with dynamic forms, writing custom directives and optimizing the code. So, rather that writing yet another “Tour of Angular” book, we took our experience of working with AngularJS and distilled our best ideas into a practitioners book. You can buy it at PackT Publishing. I have worked with .NET since it was very first in beta. I was lucky enough to also be involved in Microsoft’s first venture into open source: IronRuby – I built up the initial implementation of the maths libraries, including the BigDecimal class. I have put together a number of small websites for friends and local businesses recently. I have found that the PHP based SilverStripe CMS is a very versatile environment for this. Umbraco is a cool content management system that runs on .NET but has recently made the wise decision to convert its admin console to AngularJS. Definitely worth having a play with, especially if you are running Windows servers.